Thanks for visiting Parkway Plastics' Careers page! Below you'll find a list of potential job openings here at Parkway. If you think you would be a good candidate for any one of the positions listed below and are honest, dependable and hardworking please submit your resume, cover letter and references to ned.rowan@parkwayjars.com. Responsible for picking, inspecting, and packing quality parts into boxes. 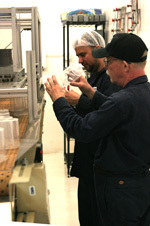 Accurately counting parts to ensure that customers get a consistent, quality product. Bagging counted parts, and placing into correct box on the assigned production line. Assure that each box is properly sealed to minimize the potential for damage. Maintains a clean and safe work area, and reports and unsafe conditions to the Floor Person and/or supervisor for resolution. Maintains good housekeeping and makes sure the packing area is kept clean, at all times. Must wear hairnet and gloves when handling finished product. Must wear company issue uniforms. Meets or exceed minimum standards for quality packaged Finished Goods. Reports any quality problems immediately to the Foreman/Floor Person. If quality of product is unacceptable and the operator is not around the packer will turn on the notification light switch near packing area. Be able to complete a quality control form about the parts you packed. To apply for the Packer Trainee position, email resume to Ned.Rowan@ParkwayJars.com. 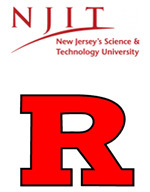 Parkway Plastics welcomes and encourages Rutgers, NJIT college students to apply for internships! and appreciate the amount of growth that resulted from the experience. who make it possible for people to get jars all around the world. I had questions about tolerances and certain features of parts, I always received a helpful answer. about them and expand my understanding of parts manufacture, an important part of the engineering world. of SolidWorks, allowing me to use my time with the software more efficiently. Regional Sales People with a Proven Track Record and History of Success in Cosmetics Packaging, Manufacturing or another related industry with an existing book of business. Sales People who were the top in their given industry who feel that they can repeat their previous success in our industry. Regions include: Notheast US, Southeast US, Northwest US, Southwest US, and Midwest US as well as Europe, Asia, Canada, Central and South America, Middle East and Africa. All Applicants must have a positive attitude, work well with others, be easily trainable and have a proven history of excellent attendance. References will be checked. All applicants must have their own transportation and be eligible to work in the United States. in any department you walk through." - Tegan J.